Want a Lowell MA. Local Plumber? Lowell Plumbing Heating And Air Conditioning is the company to call! Licensed Local Plumber, Heating & Air Conditioning Contactor Lowell MA. When looking for a Lowell area plumber, Lowell Plumbing, Heating & Air Conditioning is a company built on customer satisfaction. We are local plumbers, licensed, reliable, and fully insured. 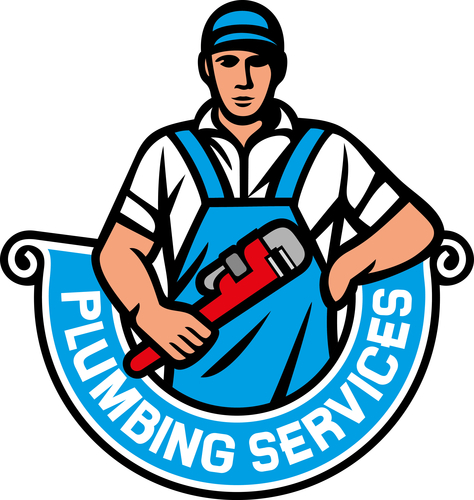 We do all types of general plumbing services along with heating and air conditioning services. We are a Dual Purpose driven Business. At Lowell Plumbing Heating and Air Conditioning we have experienced Plumbers and HVAC (heating, ventilation and air conditioning) technicians. We are local plumbers and have trained individuals that can handle whatever you needs are. We service within 30 miles of Lowell Ma. As a Residential and Commercial business we pride ourselves in being a complete service business driven by customer satisfaction. Most customers who give us a try become lifelong customers. A Question Lots of People ask us. What is the difference between a plumber and a HVAC (heating, ventilation and air conditioning) technician? Technically they are two very different trades. Plumbers usually focus on repair, install and maintain things in your home that have to do with drinking water, drainage and plumbing systems plus take care of problems with sewerage. They also handle things like clogged drains, relocating water lines, various plumbing installations, toilet repairs or replace, deal with hot water heater issues, repair or replace garbage disposals. Most plumbers also do gas piping installations and repairs. Anything to do with plumbing we can do. 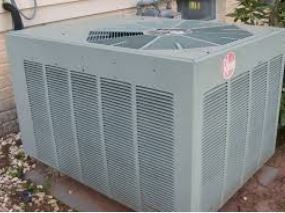 HVAC technicians deal with repairing, installing and maintaining heating and cooling systems. Because HVAC technicians deal with cooling systems they can also deal with refrigeration equipment and repairs. They also do like ductwork cleaning, hat water heater repairs or replace and also do a lot with indoor air quality. Hopefully this helps in understanding the difference. If you have a private home, apartment or commercial establishment we are a plumbing company that will give you the kind of service most only dream about. Had some bad experiences with other local plumbers Lowell? We can give service that will have you saying WOW! They gave me more than I expected. We expanded our business off referral from satisfied customers like you. Our professional plumbing and heating experts have a wide range of work and material experience. They work with copper, cast iron, Black steel, Pex, PVC piping and numerous other plumbing materials. As a Plumbing Company, Lowell Massachusetts we do all types of plumbing services. Our experienced plumbers work with new and old construction installations. We do plumbing repairs such as fixing a leaky faucet, sink replacement, corroded pipe replacement, clogged drain cleaning, garbage disposal and replacement, fix or replace leaky toilets, new tub install , shower head and even do washing machine install to save you money from Laundromat fees. Dripping faucet in Dracut? Boiler gone bad in Billerica? Air Conditioning problem in the Acre? Whether you live in Lowell or within a 20 mile radius we’ll come to your rescue. Are you a do it yourself kind of person but not sure you can handle the fix yourself? Call us today; we can get you out of a bind. Your hot water heater giving you a problem, it’s not a problem for us. Our plumbing contractors Lowell Ma can fix it. A word of caution, when you replace a gas hot water heater, a Plumbing Gas Line is not something you want an amateur working on. We have expert gas piping contractors. When hiring someone to work on hot water heaters or boilers you want someone who can handle electric, oil, gas and propane systems. Whether your home is using forced hot water, and steam boiler system, our technician has seen them all. Lowell Water heater replacement & repair? 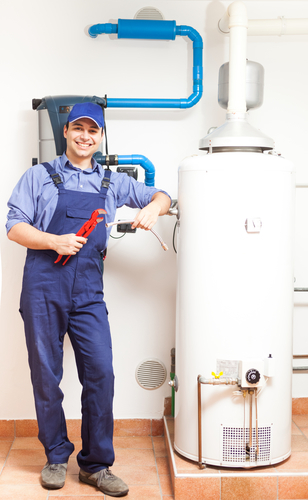 We are hot water heater and boiler repair and install specialists. We work with high efficiency equipment that not only save you money in the long run but give you long service life. 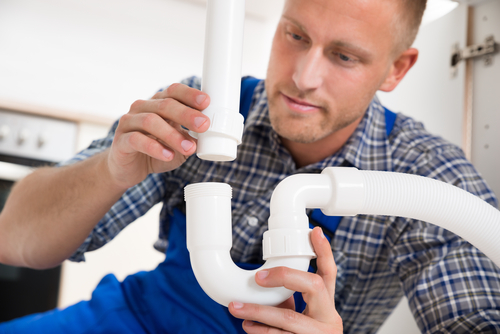 Our plumbing contractors always offer numerous options for you to choose what is best for you. They will discuss storage tanks, direct vent heaters and the most known chimney vented water heater systems. Do you have a 60 gallon tank that leaks? Upgrading to a new 40 gallon high efficiency hot water heater not only save you money but will give you a 10 to 15 year warranty. Some of these hot water tanks can qualify for a tax rebate because of the energy efficiency. There is nothing like a warm home in the New England winters, but if you have a heating problem you can count on us to get you back to a warm comfortable home quickly. 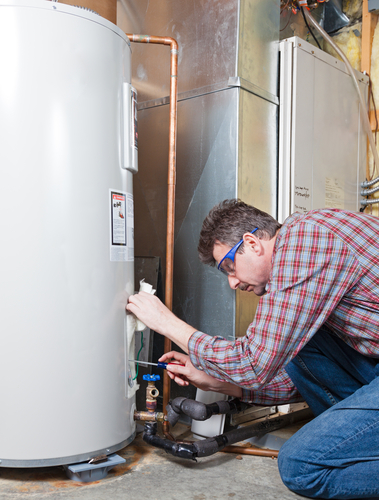 We provide a broad spectrum of heating repairs and maintenance services. Our heating specialists can repair your existing heating system whether it is forced hot air, forced hot water or the old fashion type steam heat. They work with both oil fired furnaces and gas. If need be they can replace and install a newer more efficient heating system. A big plus is that they are trained to do the work as quickly and efficiently as possible so that your home get back to having a comfortable home again. OK, now it’s summer! And, it’s too hot! Your air conditioning system is giving you problems, not only are we a plumbing and heating company; we are a Heating, Ventilation & Air Conditioning Service provider in the greater Lowell area? Our experienced professional technicians are standing by to be of assistance. We do A/C Repair & Service Lowell Mass. and the surrounding area. A homes cooling system can be a major component to its comfort. You need it to keep you cool during those hot summer months. We can provide Emergency Air Conditioning Service if needed. 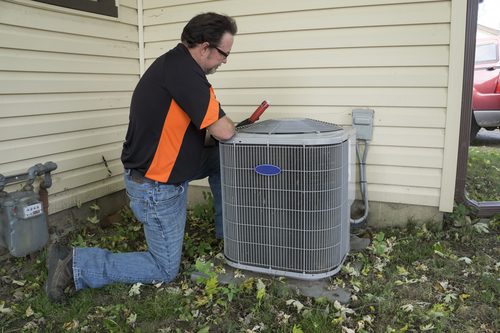 The best way NOT to have an unexpected A/C Emergency is to arm yourself with a regular tune-up and maintenance plan for your air conditioner. Simple things like routine A/C inspections where the coolant levels are checked, calibrating of the thermostat, checking of wires, contacts, relays and cleaning of the evaporator coils along with the condensate drain will keep you’re A/C unit working tirelessly for years. Heard of a ductless A/C system? A ductless A/C unit is the perfect Air Conditioner for older homes. You no longer need to have all the normal ductwork that a central air cooling system normally has. This can now make your home nice and cool without having to have 4 or 5 window air conditioning units. They are not only very affordable but very quiet. When you hire us to do your plumbing heating and Air conditioning work, you’ll have the peace of mind that the work was done correctly. Why? Because we are pros, living within your neighborhood and we don’t want to see you somewhere and have to feel we have to turn around so you don’t see us. We are proud to be Lowell Massachusetts preferred plumbing, heating and Air Conditioning Company. We not only want your business but we want you to refer us to your friends & family when they need a local plumber, heating expert or air conditioner service repair person. So please call us and give us the opportunity to give you the WOW service you deserve.